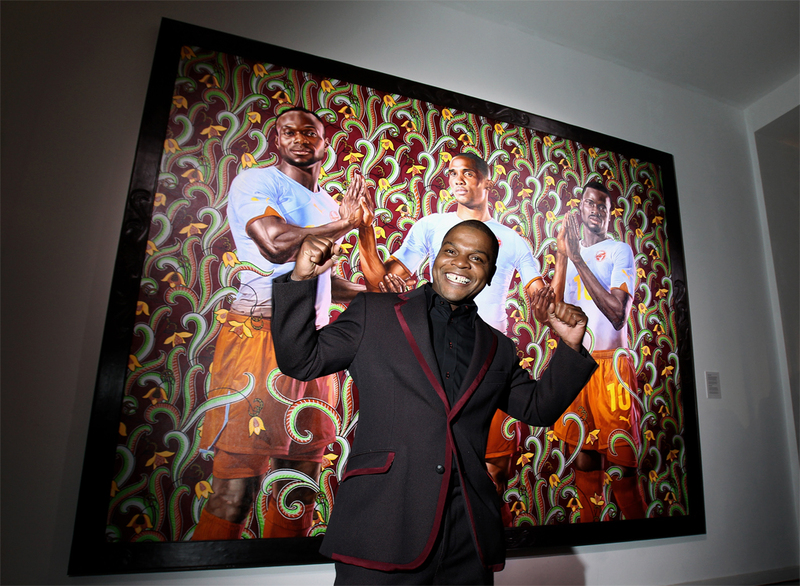 Portrait painter Kehinde Wiley has a lot in common with his controversial art. His depictions of African-American, Afro-Brazilian, Indian and Ethiopian-Jewish men in traditional Renaissance postures, fuse styles of specific art periods and contemporary culture. Like the everyday men he portrays in royal garb and heroic poses, Wiley, a South Central Los Angeles native with a humble start, is poised for greatness. While widely critiqued, Wiley’s work has gained him praise and comparisons to greats such as Reynolds, Gainsborough and Titian. The artist, who earned his MFA at Yale University, says the intention behind his paintings (which have featured various rap artists as well) is to, "quote historical sources and position young black men within that field of power." His art, inspired by the young "urban" men Wiley has encountered in Harlem and South Central, is on display everywhere from the Brooklyn Museum to the High Museum of Art, and reciprocates that inspiration to his subjects and audiences alike. Recently GQ Magazine traveled to Morocco with Wiley to observe the master at work. During the trip what was realized is the art was the easy part of the process. Selection, negotiation and timing all play a major part in the work. The gift of talent does the rest.